Ben , a former Daystar university student is one of the most talented television news anchors in the country. Just like most success stories, the journey to the top has not been easy for him. Eight years ago, Kitili had no job to hold on to. He was rejected by several radio stations in the country, often being told he was not cut out to be a presenter. Ben previously worked at K24 where he started as a sports reporter and anchor in 2008 before joining news desk. 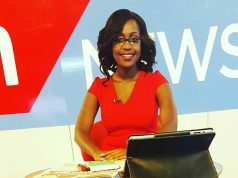 After joining NTV he ended becoming a top news anchor in The Nation MediaGroup. 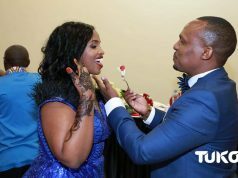 KTN senior news anchor and political affairs editor Ben Kitili got married to long-time girlfriend Amina Mude in a super private wedding on Friday 16th November 2018 . The two made their cross-cultural and cross-religious union official at the AG’s office Friday morning before hosting their families, close friends and colleagues for a lavish wedding dinner at the Panari Hotel. 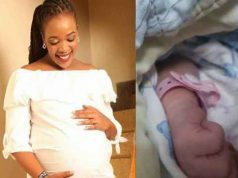 Ben proposed to his beautiful girlfriend in 2015 and they have been blessed with a beautiful daughter – Ruby Iman Nzembi Kitili, 3, who also attended her parents’ wedding. When the couple shared photos from their big day most of the comments were positive, but they also received a lot of backlash for their cross-cultural and cross-religious union since he is Kamba-Christian and Amina is a Borana-Muslim. Following the mixed reactions to their big day, Ben Kitili commented that he was happy to have married the wife of his youth and emphasised that God is more important than religion. “A beautiful day when I married the wife of my youth @amina_mude, who I promise to love and protect with my all..thank you all for your warm wishes and prayers..we are humbled.. To all my Muslim and Somali brothers and sisters, especially my shemejis from Wajir; thanks a lot for your kind words and great reception.. To those who are not so welcoming, we forgive you..you have a right to your opinion as long as you dont cross the line..God is more important than religion..#WajirsFinest,” Kitili tweeted. BEN KITILI SALARY, WEALTH, HOME , TRIBE AND SO MUCH MORE.